Yannick Chevalier is a teacher of French stylistic at Université Lumière Lyon 2. He works on the links between language and gender. Benoît Auclerc & Yannick Chevalier edited the book Lire Monique Wittig aujourd’hui (Editions PUL, 2012). Catherine Ecarnot is the author of the first thesis in France about Monique Wittig and she published L’Écriture de Monique Wittig. A la couleur de Sappho, at L’Harmattan, in 2002. Dominique Samson, niece of Monique Wittig, PHD in education sciences entitled L’ombre de l’auteur : des rapports de force dans l’acte d’écrire. Dominique Sanson’s communication will focus on the bibliography which closes Brouillon pour un dictionnaire des amantes, as a place for a double stage: staging another history and reals and collectives imaginaries. Suzanne Robichon, founder of the journal Vlasta, journal of Amazonian fictions and utopias, co-editor with Marie Hélène Bourcier of the seminar and the publication Parce que les Lesbiennes ne sont pas des femmes – Autour de l’oeuvre politique, théorique et littéraire de Monique Wittig (éditions gaies et lesbiennes, 2002). ion des femmes in 1970), literary works (L’Opoponax (1964), Les Guérillères (1969), Le Corps lesbien (1973), Brouillon pour un dictionnaire des amantes (1976), etc.) as well as theoretical texts such as La Pensée straight (1980), in which she defines heterosexuality as a political regime, and that had a profound influence on the whole development of queer studies. Wittig was equally the co-founder of the MLF and a member of numerous militant groups. In Wittig’s work, the feminist writing of History uses the methods of the myth or the fable to constitute a history that does not yet exist, entirely oriented towards the future, and on the basis of a grammatically feminised narration. The “fable carriers” (“porteuses de fables”) in Brouillon pour un dictionnaire des amantes, co-written with Sande Zeig, are the incarnation of a cyclical History, organised around" “histories as History” and the imaginary at the service of a new world”1 . The Brouillon is both a parody of patriarchal studies and the creation of a History of women, which follows the maxim of the Guérillères, another of Monique Wittig’s splendid books: “Make an effort to remember. Or, failing that, invent.” 2013 is the tenth anniversary of her disappearance. On the occasion of the publication of the first monographic book on the Korean-American artist Theresa Hak Kyung Cha (1951-1982), its author, Elvan Zabunyan, will talk about this unique work, at the crossroads of performance, of conceptual art, of video and of poetry. One of the most important motifs in the work of the American conceptual artist Theresa Hak Kyung Cha who is of Korean origin, is related to her representation of History, marked by the experience of exile and migration, of temporal, cultural, geographical and social dislocation. Cha’s best-known work, her last book Dictée (1982) was published several days before her tragic assassination and can be considered to be an autobiography. Dictée is the history of women, corresponding to the nine Muses of Greek antiquity, and combines voices and narrative registers (newspapers, allegorical stories, dreams) as metaphors for dislocation, loss and the fragmentation of memory. Elvan Zabunyan, contemporary art historian, is a teacher at University Rennes 2 and art critic. Her research is about North-American art from the 1960s and particularly the turning point of the year 1970 around racial and feminist questions. She has been working since the beginning of the 1990s on the issues shown by cultural studies, postcolonialist theories and gender studies, trying to build, thanks to critical thoughts, a methodology of history of contemporary art articulated around a cultural, social and political history. She published Black is a color, une histoire de l’art africain américain (Dis Voir, 2004 et 2005 for the English version), she co-edited several books and wrote many articles in collective works, exhibition catalogues and periodicals. In Differencing the Canon (1999), art historian Griselda Pollock shows that writing a feminist art history was not only about reintegrating women artists to the canon 2. We can think that producing this feminism, and so to say this queerisation of History, came down first and foremost to an epistemological modification of the discipline of ‘art history’, and more precisely the way it is recounted and its narrative forms. It is thus through invention or the deployment of new means of writing (such as fictionalising archives or historiographical metafictions (Carola Dertnig, Cheryl Dunye or Roee Rosen), non-linear narrative editing (Renée Green, Carla Lonzi), reenactment (Faith Wilding)) that (post)feminist artists, writers, art historians , scrutinize normalized forms of knowledge and linear historical narratives. In addition to the screening of extracts of the original performance and its renewal in the 2000s, Fabienne Dumont will explore the historical contexts of the Californian feminist movement in the 1970s, the ethical values that came out of these years, and the relevance of their reactivation 40 years later. Fabienne Dumont is contemporary art teacher at EESAB, author of a thesis, Arts et féminismes dans les années 1970 en France (PUR, to be published), director of the anthology La rébellion du Deuxième Sexe (Presses du réel, 2011). She is currently preparing a monographical essay about Nil Yalter and has just published an article in the exhibition catalogue Linder Femme/Objet du MAMVP. In-depth research on the history of performance – an account of which is given in the book Let’s twist again (2001) – was what lead the Austrian artist Carola Dertnig (born in 1963) to question the place of women at the heart of Viennese Actionism. The project Lora Sana is based on this research into its historiography and its documentation. 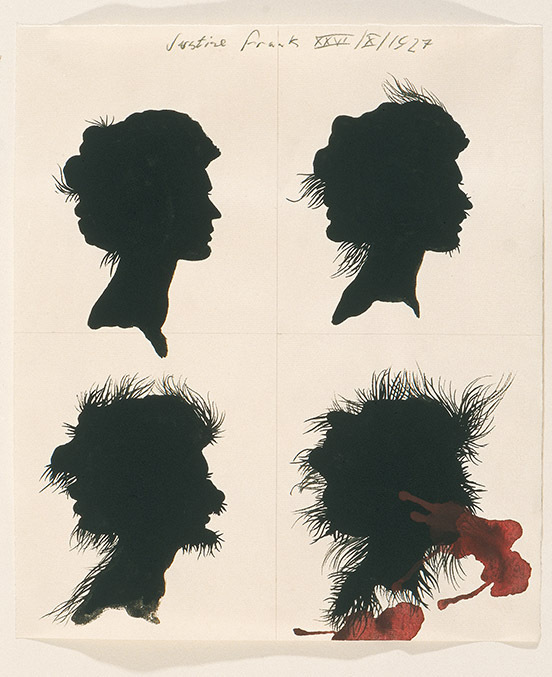 Dertnig was surprised by the absence of their names in books on the history of art, and set out to meet these phantom women, visual evidence of whom is nonetheless preserved in the archives of this transitional period. The fictive figure of the artist Lora Sana was born, therefore, from the synthesis of discussions with Hanel Koeck and Annie Brus, who were both Actionists in the 1950s – or rather, “models”, as such was their status at the time. Carola Dertnig’s project is thus anchored in a re-writing of the history of art, combining real testimonies with historiographical metafictions, thus allowing us to question the value of an archive, when it is subjected to a gaze that is no longer masculine, but rather feminist or queer. In 1969, Carla Lonzi, art historian and critic, publishes her conversation with 14 artists under the title Autoritratto (Self-Portrait). The recorded interviews are edited to make times are superimposed and intertwined: the result is a long conversation without apparent pause, in which time has no linearity, and the transition from oral language to its transcription is often thematized. After the publication of the book, Lonzi gives up art criticism in order to focus on feminism. The publication of the Manifesto di Rivolta femminile in July 1970 marks the beginning of the most radical thought on Italian feminism. "Theorical contributions of the Chicanas feminists from artistic and activist work"
"Political self-representation and performative fictions. The example of the feminist and homosexual cinemas in France in the 1970s".